When law enforcement is on the lookout for a wanted criminal or a missing person, media publicity is one of the best ways to generate leads. 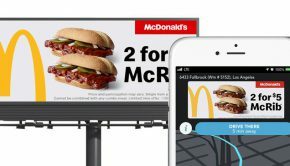 For more than a decade, the OOH industry has worked with the FBI to immediately notify the public using donated ad space on thousands of digital billboards – and it works. When a neighbor pounded on Kristin Kasinskas’ door — pleading for Kristin to call 911 because the neighbor had found missing teen Jayme Closs — Kristin recognized the missing girl immediately. 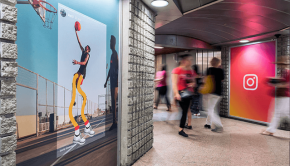 “Her picture has been everywhere around here. 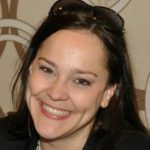 Billboards and things,” Kristin told Savannah Guthrie and Hoda Hotb on NBC’s TODAY Show January 11. Jayme, 13, was reported missing October 15, 2018, the day police found her parents shot to death at their home in Barron, WI. Following an AMBER Alert, the FBI requested nationwide digital billboard support in seeking information on her whereabouts. 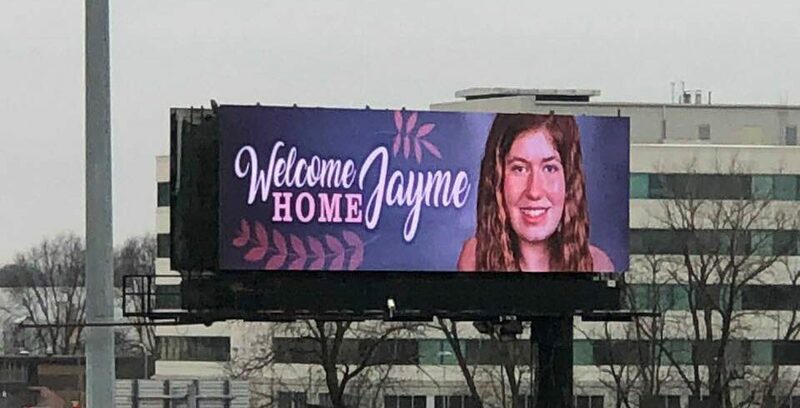 Billboards continued to play a role in celebrating Jayme’s recovery. Will Hartman, Lamar Advertising Company, removed a printed missing child billboard in Sarona, WI. In a Facebook post, he said passersby stopped to take photos and honked horns to honor her homecoming. “Without words, you could feel the joy for this little girl,” he wrote. FOX 9 covered the story. 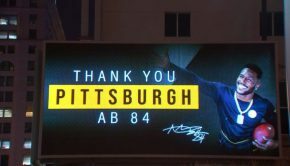 Digital billboards in Madison, WI, honored the teen’s return will “Welcome Home” messaging. Antariouse “Phat” Caldwell, 25, one of the most wanted gang members in Georgia, was arrested less than a day after the FBI posted wanted billboards around metro Atlanta. “This kind of publicity is instrumental to catching these guys,” added FBI spokesman Kevin Rowson. 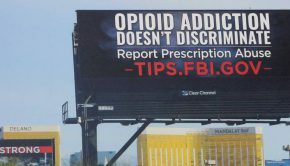 Since 2008, the FBI has used billboards to communicate with the public, apprehending 57 fugitives directly due to tips generated by billboard publicity.